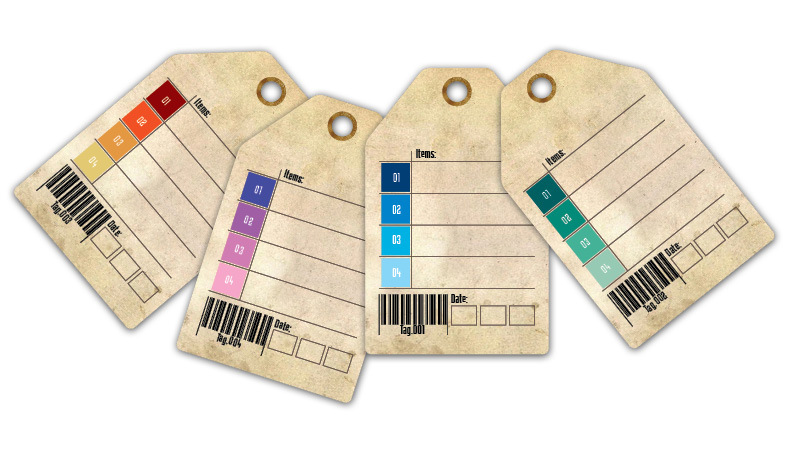 Printable Tags: Colors Palette | Print, Cut, Paste, Craft! I love tags, especially on vintage paper. I have a lot of colored beads and I designed this set of tags to organize them by color.I thought they could be useful for all of the crafters out there in need of ways to organize their supplies.